...with a donut than apple cider. 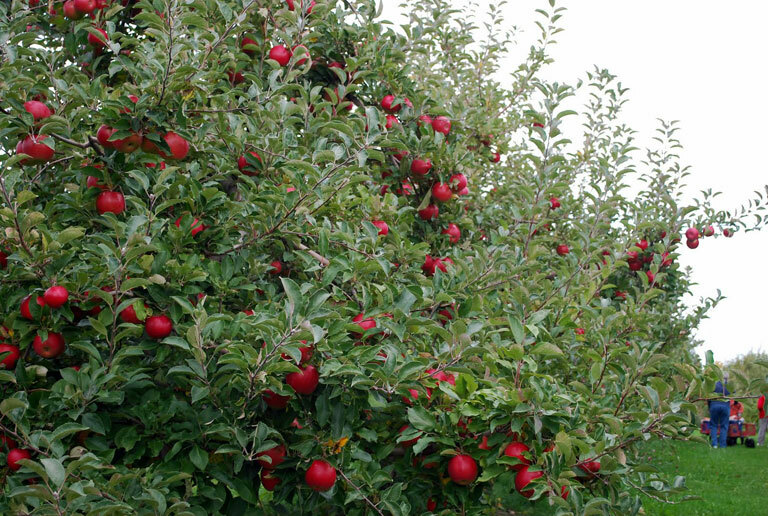 I can almost taste it now, and it's a little early in the year for fresh Maine apples. 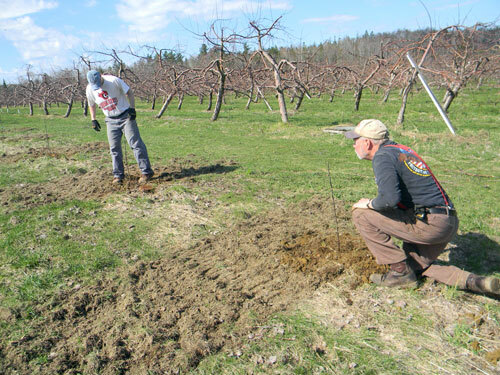 Growing an apple crop is a year-round occupation and it requires a lot of time per tree; from some springtime planting of a new variety, summer spraying for insects, picking apples in the fall or pruning the trees in late winter. Each and every things has a pretty specific time in which it needs to be accomplished. It's a challenge to raise a special crop, poor weather in the spring and it's too wet for the bees to pollinate, early summer hail could make for a crop, that while good, isn't pretty; a long hot summer with high temperatures and little rain can stress any crop, and an ice storm in winter can tear branches from a tree until it's destroyed. Weather is a farmers best friend or worst enemy, ask one. A new row of trees, spring planting.